This is a heavy book – over eleven hundred pages, with narrative chapters; chapters on social history, architecture, art and the economy. It’s not easy reading. I only picked it up because in 1672 the dutch killed and ate their prime minister, and that seemed like an idea worth exploring. Seriously, it’s a dry book, detailed enough to get lost in but fast enough to not burst into life at the more colourful events (of which dutch history has many). Dutch history is the history of a rich and complex society about which most of Britain (including myself) now knows much less than it should. I’ve previously struggled with Lisa Jardine’s book on the topic. I thought I would focus on a few things that did come across strongly. Being from Northern Ireland, I’d happily leave William of Orange alone – but he’s actually a fascinating character. Manipulative, populist and authoritarian. His rise feels like something from a much later period of history (Napoleon III?). In fact the whole of dutch history feels like something from a much later period – with a necessary focus on party politics, economics and industry. I’m not sure you can get away with a Great Man approach to history here. Dutch history seems to be a constant series of division and factionalism: north/south, catholic/protestant, rural/urban, coastal/inland, republican/Orangist, the Reformed church vs Arminius, religious tolerance vs repression. There’s an oddly familiar feel to the Dutch Republic. Liberal, but only in part. It manages to create and house free-thinkers like Spinoza and Descartes, and then force them out or keep them quiet when they go too far. The strength of the Republic feels constantly precarious, and despite the book being loaded with information it can be difficult to really see how it became and remained so powerful for so long. These ethereal connections that held it together seem to eventually collude in it’s downfall with the decline of the navy as William III let the British Navy take over. I’m glad I struggled through it, but I’m still looking for a genuinely accessible introduction to the Netherlands. Tim Severin is perhaps best known for his attempts to recreate ancient voyages and journeys. He began in 1961 by following the path of Marco Polo on motorbike, before adding a slightly more traditional twist to later journeys by using authentic forms of transport. In 1976 he followed the alleged voyage of St Brendan and sailed from Ireland to North America in a replica of a currach (an old celtic craft made of a wooden frame covered in animal hides). There were others too: imitating Sinbad in an arabic Dhow, various Greek heroes in a Bronze Age galley. This sort of bold reenactment usually falls somewhere between serious history and stuff like the History Channel’s Deadliest Warrior, but it is interesting, entertaining and, more to the point, is not really what I’m going to talk about in this post. Alongside all this, Tim Severin has begun to write historical fiction with a series on 11th century Vikings and one on 17th century barbary pirates. 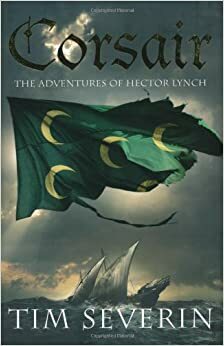 Corsair (the opening book in this latter series) works well enough as a stand alone tale, telling the story of 17 year old Hector Lynch from a small village in County Cork, Ireland. Lynch is the son of a minor Protestant* noble father and a Catholic spanish mother who is captured, along with his sister Elizabeth, by Barbary pirates in a raid on his village. As the corsairs leave the coast of Ireland their boats are scattered and the siblings are separated. The search for his sister then provides the great motivation for young Hector throughout the rest of the book. Just a quick post here. I was down at the historic dockyard in Portsmouth at the weekend. They have some great tourist attractions there: HMS Victory, HMS Warrior, The Mary Rose, harbour tours and about half a dozen museums – I got a season ticket and will certainly be back in the future. 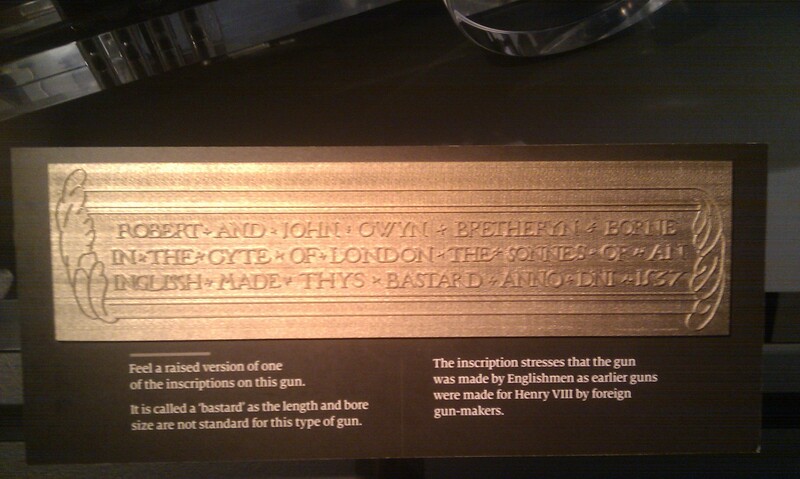 I just thought I’d post this photo from the Mary Rose Museum. This book by Adrian Tinniswood (published by Vintage in 2010) tells the story of Barbary piracy, drawing heavily from a huge variety of sources. The book does generally follow a historical narrative from the sixteenth century up to the early nineteenth, but it does so as a series of snippets, or vignettes if I’m being fancy, on different topics, events or characters. There is a consistently light, entertaining tone to the book but at times it can also come across as a patchwork of material, loosely connected together. That’s not to say that the book wanders off topic too much – the title promises Barbary pirates and that’s pretty much what you get! As a follow up to my post on the Viking exhibition at the British Museum – I just saw an article pointing out the Viking Ship Museum in Roskilde. There, for the measly price of £14,650, you can buy the Trýbekkur – a semi-authentically made ship of your own. Semi-authentic because it uses some genuine Viking tools and techniques, but also some mass production to keep costs affordable for the common Norse raider. This book by Roger Crowley, published in 2011 by Faber and Faber, tells a narrative history of the Venetian overseas empire – so essentially a time span of ~1000 to ~1500 with the changing interactions with the dying Byzantine Empire, the rising Ottomans and the wars with the other Mediterranean trading powers. Crowley is a very good writer of narrative history, particularly in his field of Mediterranean naval warfare circa 1400. This book can in some ways be seen as a natural companion to 2005’s Constantinople: The Last Great Siege and to 2008’s Empires of the Sea. Those charted the fall of Constantinople and the ensuing battle for the remaining christian strongholds in Cyprus and Malta. This book on the other hand is a step backwards in time, giving the run up to those struggles from a Venetian perspective.